This is going to be a quick NOTD (Nail Of The Day) today I’m wearing constance caroll’s diamond gloss nail polish in rouge. 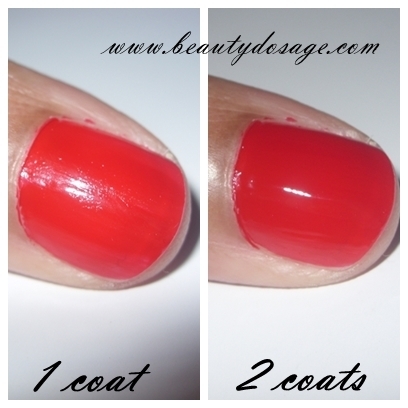 This is a nail varnish with a glossy finish thus you don’t need to add a top coat for shine! I bought this at my local constance carol counter for 375 srilankan rupees. It’s a perfect scarlet red in my opinion. A red nail polish is a beauty essential for any woman as it’s a classic colour. It’s regarded as ‘the neutral’ shade that goes well with any outfit. This is more of a right orangy red.